Looking to purchase a Used/Pre-Owned Jeep Wrangler? 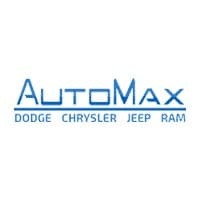 Shop AutoMax Dodge Chrysler Jeep RAM for all Jeep Wrangler or Jeep Wrangler Unlimited needs. Always been a Jeep Wrangler fan? – We carry all Pre-Owned models from the TJ to the JK and even the newest addition to the Wrangler family, the JL. Don’t hesitate, your Jeep Wrangler awaits you at AutoMax Dodge Chrysler Jeep RAM in Shawnee Looking for something fresh off the lot? Be sure to check out our New Jeep Wrangler Offers Here New Jeep Wrangler Offers.